Need easier access to packagessubmitted by Justin P. - Apr 05, 2019 |Recommended: YesI order packages very frequently from Amazon or other sites, sometimes packages that contain high priority items. I'm not a fan of the new process for picking up packages at the front office. I frequently work early and come home after 6PM, so I often miss my opportunity to pick up my packages. This used to be easy, as I could just go to the front of the building where I live and grab them. I assume someone lost a package and complained. I get maybe 3-4 shipments a month and have never had a package stolen. Seems like an isolated incident. Maybe implement front-office only pickup around the holidays I'm sure you can figure out a better solution than what's in place right now. response from property - Apr 09, 2019 Thank you, Justin, for sharing your concerns about our package pick up process. Unfortunately, we did have a package stolen recently. The amount of time our team and local authorities took to resolve that situation has brought us to the new process you are referencing. It is unfortunate, but we feel it is the best solution to avoid stolen packages in the future. Thank you for your patience and understanding. We are always looking for new ways to do things and will continue to look for new solutions to this process. Highly priced, lots of gimmickssubmitted by Laura M. - Mar 04, 2019 |Recommended: YesI have been impressed with the maintenance at the Vue but that's where my impressed sense stops. It seems like there are a lot of gimmicks that come along with living here. There are so many additional fees that don't have a premise behind them and the enticing bonuses to get people to re-sign are not all that great. I bet that with my vinyl floor cleaning I'll be in charge of moving all of my belongings in order to have this service completed. The staff that works here are friendly but there does not seem to be any real customer service. If I were to request something done with a package delivered and I am away, nothing is done about it. Overall it's not a bad place to live it's safe, clean, and great amenities but lacks common sense and that community feel. response from property - Mar 05, 2019 Thank you, Laura, for taking the time to share your thoughts and for recommending The Vue. We are happy to hear you have been impressed by our maintenance team and want to make sure all of your experiences are just as great. Please contact our office team with any questions or concerns. We also have a Resident Satisfaction Manager who is ready to speak with you regarding any persisting concerns. They can be contacted M-F from 8-5 at (414) 274-8250 or email fredcares@fred-inc.com. Thank you. Perfectsubmitted by Steven G. - Feb 01, 2019 |Recommended: YesI would recommend. response from property - Feb 05, 2019 Thank you, Steven, for recommending The Vue! If there is ever anything we can help you with, please let us know. We want to ensure all our residents have a 5-star experience in their home and community! response from property - Dec 20, 2018 Jared, thank you for the 5-star review! We are glad to hear you love your home at The Vue. Please let us know if you need anything - we'd be happy to assist! response from property - Nov 01, 2018 Thanks for the review, Selina! It's great to hear how much you are enjoying your home at The Vue. We love our furry friends and hope you do, too! Thank you! Very Pleasedsubmitted by Tyler W. - Jan 02, 2018 |Recommended: YesBeen here for over a year and was more than happy to resign our lease. My bf and I love the weight room, amenities and our apartment. I especially love the location and the friendliness of the staff as well. response from property - Jan 25, 2018 Thank you for taking the time to leave your review, Tyler! We are so glad to hear that you enjoy our community and great amenities. Please let us know if you need anything and we appreciate your residency! Nice property that is well maintained.submitted by Paige B. - Oct 23, 2017 |Recommended: YesThe Vue is a pet friendly complex with nice amenities located across from a wildlife reserve. The surrounding area and location is not ideal but other than that, no complaints in the short time that I have lived at the apartments. response from property - Oct 26, 2017 Thank you for leaving your review, Paige! Please let us know if there is ever anything we can assist with and we appreciate your residency! Amazing and Very Nicesubmitted by Kortney W. - Oct 11, 2017 |Recommended: Yeswe are so happy living here in this nice clean and well maintained space. response from property - Oct 11, 2017 Thank you for leaving your review, Kortney! We are so happy to hear that you enjoy your home with us. Please let us know if there is ever anything we can assist with and we appreciate your residency! Excellentsubmitted by Loren K. - Sep 30, 2017 |Recommended: YesThe staff are all very professional and responsive. The maintenance staff responds to requests very quickly. The apartment itself is very nice and the other tenants are friendly as well. Overall, a great option for an independent professional like myself. Finally, the location in Fitchburg is very convenient near the beltline and Fitchburg itself is a rapidly growing city with a lot of interesting new places to eat, shop, etc. response from property - Oct 02, 2017 Thank you for taking the time to leave your review, Loren! We are so glad to have you call The Vue home. Please let us know if you ever need anything from us. We appreciate your residency! Too Expensive for the areasubmitted by Kirsten S. - Sep 19, 2017 |Recommended: NoThe apartments are really nice, however I feel that they are just too expensive for the area. The fact that we pay so much in rent, but they still charge us for trash and water is pretty ridiculous. I've never lived at another apartment complex that charged for water and trash, and the fact that we pay an outrageous amount for rent and STILL get charged for that seems like they are just trying to take every dollar they can from us. They charge us an amenity fee, they charge us to use the clubhouse, it just seems like a lot of extra fees to live here. I also just feel like the apartments are just too expensive for the area. Its not Middleton, and we live right next to a run down apartment complex. I just don't feel like its a nice enough area to charge what they change. Maybe this is why they can't fill the apartments. I wouldn't recommend the apartments just because the cost is too high for the area. response from property - Sep 20, 2017 Thank you for taking the time to leave your review, Kirsten. We are happy to see that you enjoy our staff and property overall. We hope that you can enjoy our great amenities like the pool, fire pit, grilling stations and fitness center. Our property location is central to the Madison area to be as convenient as possible for residents. We do want everyone to feel at home with us, so please let us know if there is ever anything we can do to help. We appreciate your residency! response from property - Sep 20, 2017 Thank you for taking the time to leave your review, Brittany! We are so happy to hear that you enjoy your home with us! Please let us know if there is ever anything we can help with. We appreciate your residency! Overall Experiencesubmitted by Hannah K. - Aug 03, 2017 |Recommended: YesOverall the experience was very pleasant. I do not have any complaints about the apartment itself, my only comment would be regarding office occurrences. There were numerous times I went to the office during open hours and they were closed early without warning. response from property - Aug 08, 2017 Thank you for taking the time to leave your review, Hannah! We are so glad that you enjoyed your home with us at The Vue. We have worked hard to build the best staff for our residents, and are happy to say we now have a full team to give everyone the best experience with us. We appreciate your residency and wish you the best with your future endeavors!  We enjoy living in the Vue submitted by Amos F. - Aug 01, 2017 |Recommended: YesThe Vue is a comfortable place to live with a very central location. Parking is readily available and the buildings are new and mostly well-maintained. The grounds are usually kept clean, but there was a period of time where landscaping seemingly forgot to maintain our building. The plants became extremely overgrown. There was also a time when raccoons moved into our ceiling 3rd floor . Maintenance told us it was birds until we sent them a picture. The raccoons mother and two kids ended up living in our ceiling for three months. response from property - Aug 02, 2017 Thank you for taking the time to leave your review and recommendation, Amos! We are happy to hear that you enjoy your home with us, along with all of the great amenities! Unfortunately during the rainy times of summer, Mother Nature makes it a bit harder to keep the plants consistently maintained, and our maintenance staff has addressed this issue with solutions to keep any weeds under control. We hope you can enjoy the sunny summer days on our property now comfortably. We do apologize for the appearance of the small raccoon family that got between the side wall. We did hire an outside contractor to address this, that was happy to work with you and us to find the best solution. Because the babies were so young, everyone agreed that trapping the mother would put them in danger on their own, which would not be a helpful situation overall if they were left in the wall. We appreciated your patience and willingness to work with us through that issue. Please let us know if there is ever a time we can help here at The Vue, and we appreciate your residency! Great community in a poor areasubmitted by Justin V. - May 23, 2017 |Recommended: YesI would tell them it's a decent value and nice living experience, however, after being here the location can be wearing depending on what you're looking for. response from property - May 25, 2017 Thank you for taking the time to leave a review, Justin. We are happy to hear that you would recommend our community! We are local to to several great restaurant and shopping options, as well as just a short drive from the 12/18 Belt Line. Although it is not your ideal location, we believe we could be a great fit for many people. Again, we appreciate you taking the time to leave a review and your residency with us! response from property - May 25, 2017 We are so happy to hear that our community is exceeding your expectations, Shelly! Thank you for the recommendation. Please let us know if there is anything we can do to help in the future.